SBID continue to explore the personal journeys of interior design professionals throughout the industry. 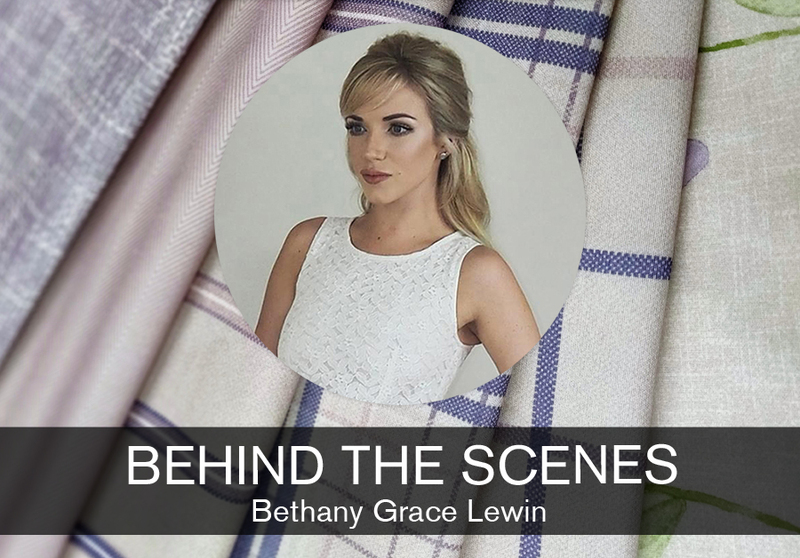 This time, we interviewed the Head Designer at Evan’s Textiles, Bethany Grace Lewin, as she talks about her desire for creativity from a young age, the day-to-day life of a textile designer, and what it’s like working directly with interior designers! I’m Head Designer at Evans Textiles which is one of the UK’s leading suppliers of soft furnishings to interior designers, specifiers and industry professionals. The majority of what I do is based in interior textile design and creating unique printed fabric designs that meet our clients’ interior design briefs – which can be for both domestic and contract markets. 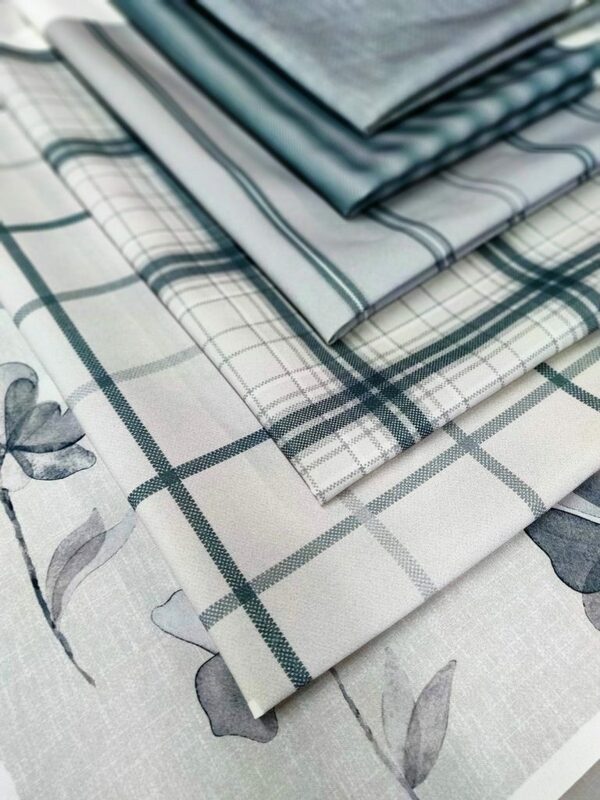 We’ve recently seen an increase in the popularity for our bespoke contract fabric designs and I’m very excited to say we’ve launched a new division which focuses solely on designing contract fabrics for healthcare and hospitality environments. Needless to say, my role and responsibilities are changing to meet this growing demand for our contemporary bespoke fabric designs. What is your background and how did you get into textile design? Since a young age I’ve been fascinated by art and design – the way it can influence a behaviour, tell a story or change a mood. I studied Maths, Biology and Economics during A-levels, but I always found myself gravitating towards art and design as I’ve always had a creative flair and felt strongly about using my artistic talent within my career. I went on to do a foundation degree in Textile Technologies, Photography and Fine Art & studied a BA (Hons) Fine Arts Degree at the Manchester School of Art. I have furthered my practice with a Post Graduate Certificate in Art & Design Education and a Master’s degree, in which I specialised in painting, print, drawing and illustration. I now use my qualifications and skills to produce high quality artwork for our interior design clients. I’m usually up quite early around 6.30am and I’m in the office by 8.30am. As soon as I’m in the design studio, I check my emails for anything urgent over a coffee, then it’s straight to work. There’s never a dull moment and no two days are ever the same – that’s why I love my job. You have to be versatile and quite resilient within the team as the briefs can come in thick and fast and as we’re producing custom artwork daily on a variety of different base cloths, there can be a lot to manage as our clients have expectations and can often be working to tight timescales. I generally work up until 5.30pm but it’s not uncommon for me to take work home as we’re all about meeting our clients expectations. I love to see the finished article come together in situ. It’s so rewarding to see the design I’ve been working on make a difference within an interior design scheme – and because our designs are hand-crafted and cannot be found elsewhere, they often take centre stage as the focal point in a room and give that ‘wow’ factor for our clients and their customers. From concept to completion, I enjoy the work but it’s also brilliant when an interior designer repeatedly comes back to us with new and exciting ideas knowing the possibilities are endless with our bespoke design service and that we can and will deliver their project within budget and on time. What’s the latest plans for Evans Textiles, is there anything new you are working on? 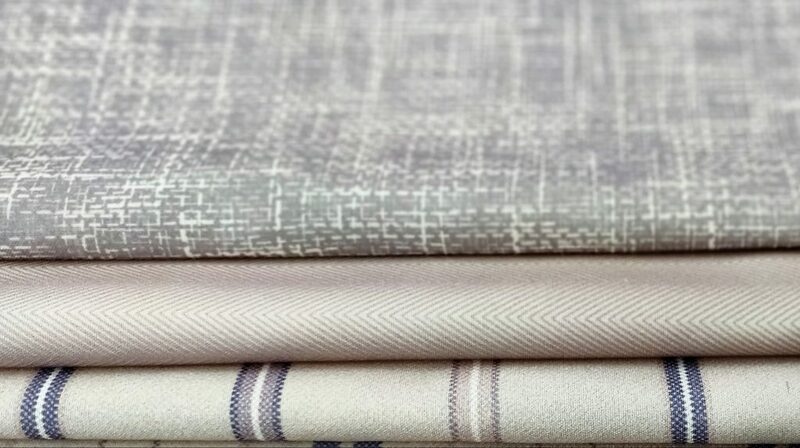 We’ve just launched our new division, Bespoke by Evans that specialises solely on performance fabrics for dementia care homes and healthcare facilities. We’ve created a core collection of FR contract fabrics that offer a contemporary take on the more traditional designs that you’re likely to see in standard pattern books. Plus, we have the option of our truly bespoke contract design and print services too within this division so there’s ample choice. All our designs incorporate patterns, scale, texture and familiarity so they can be used across a number of applications from bedding, seating, upholstery to drapery and more. With Evans having over 100 years’ experience in soft furnishings, the division is also able to tap into our core products like curtain lining, window blinds and curtain tracks meaning many of the essential elements for a redesign can be found in one place – saving our clients time, resource and money! I’m very excited to see what the future holds for our new initiative I think it’ll be very exciting for our clients too. Although it’s cliché to say, often it can simply be there’s not enough time in the day. Meeting our client’s brief is our top priority so we work around the clock to create concepts, colourways and designs. There’s no fixed rule for what signifies a good design as it’s so subjective, so if we receive an unclear brief or our clients’ customer isn’t sure, it can be quite difficult to understand and manage their expectations within a certain time frame. What do you wish you knew before working with interior designers? The granular detail. From the outside looking in, it’s almost too easy to think interior design is all about aesthetics but there’s so much more to it. The coordination of materials, safety, design elements and space are fundamental and as we work collaboratively with all our clients, we gain a deeper understanding into the demands and strain on their particular projects. That’s a tricky question as every brief we receive is very different and the requirements of the client and their customer can vary greatly. There’s a botanical design that we worked on very recently for a care home it’s been a huge success with residents and staff alike. In fact, it’s been such a success it has been recognised for an International Design award by the Society of British and International Design. That’s a design I’m quite proud of. 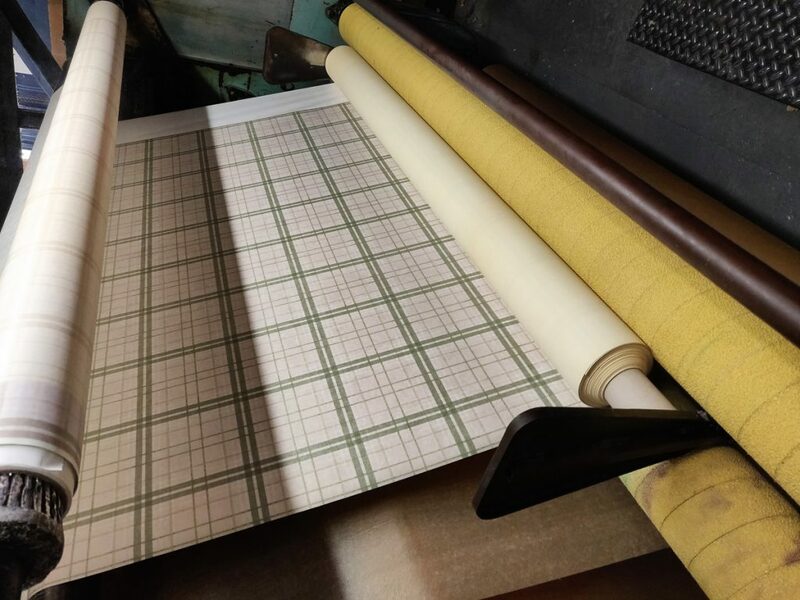 Due to the popularity of the internet and the rise of social media, I think the traditional way of choosing a fabric design has changed and many interior designers risk missing a trick by not adapting. The days of carrying around numerous heavy traditional pattern books with limited design collections is fast coming to an end. Nowadays, both savvy interior designers and indeed their customers take to websites, Instagram and Pinterest to find inspiration. This is something we’ve actively tackled with Bespoke by Evans. Our clients can showcase our range, request free swatches, an initial design concept or request a brochure for their customers all on our website. We’re also active on social media channels too so there’s always something new to discover. If you were inspired by Beth’s story and want to find out more about interior design and the role of an interior designer, click here.